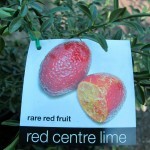 New Citrus trees have just arrived and we have some exciting new varieties that we’ve been waiting on for years, CSIRO have selected and crossed Australian native Limes to produce unique truly Australian Citrus, we have “Australian Blood” ( also known as Australian Red Centre ) this is a hybrid between an acid mandarin and a native finger lime. 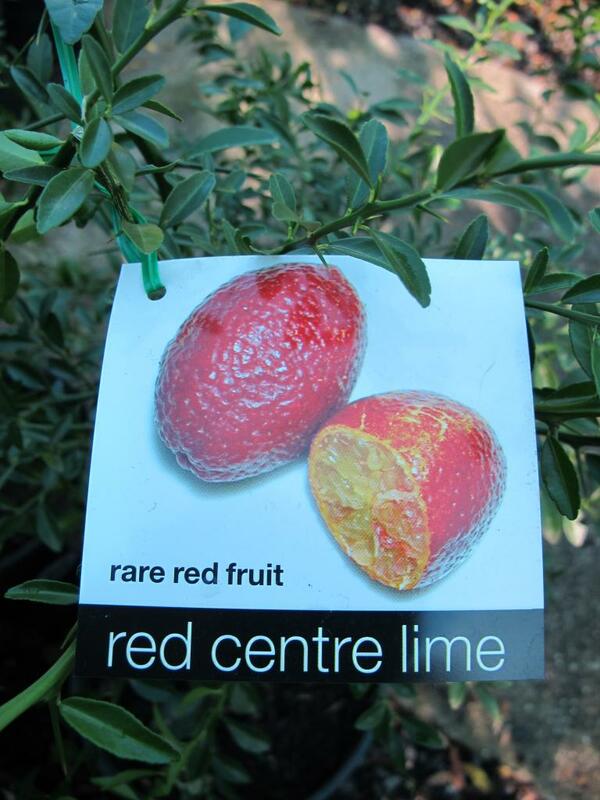 It has blood-red rind, flesh and juice. 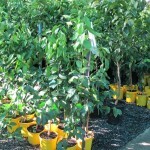 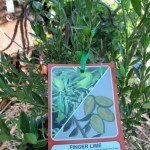 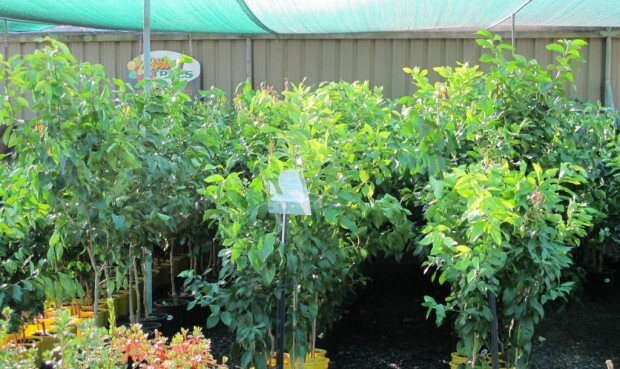 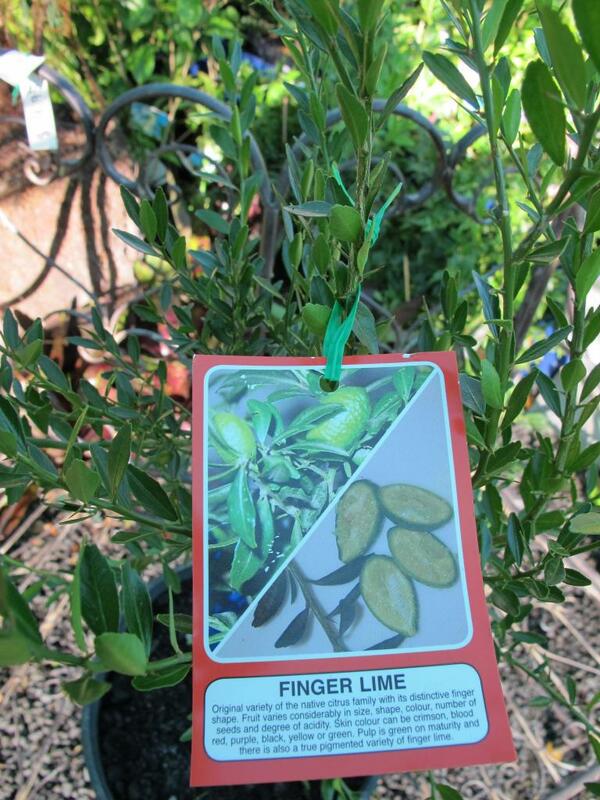 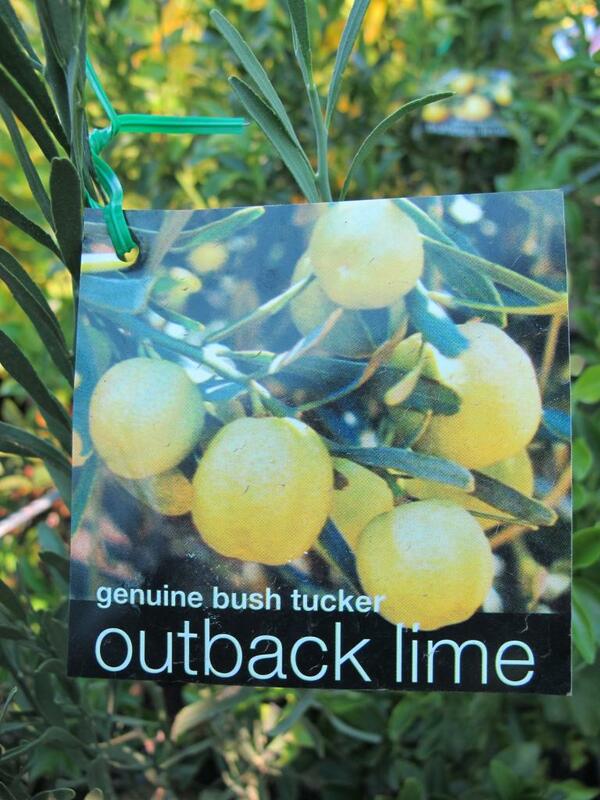 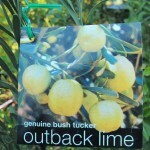 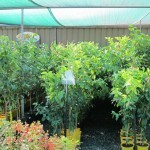 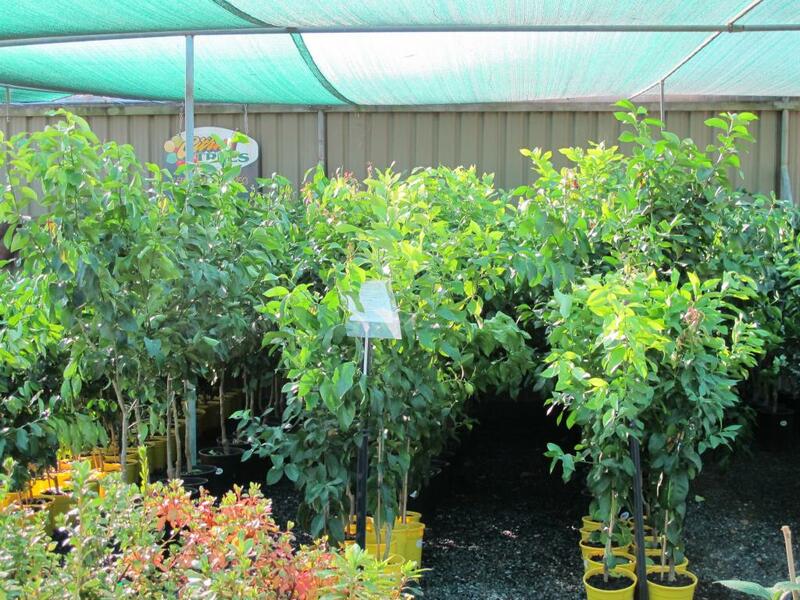 “Australian Outback” (Also known as Australian Desert) is a variety selected and developed from a collection of different native desert lime trees. 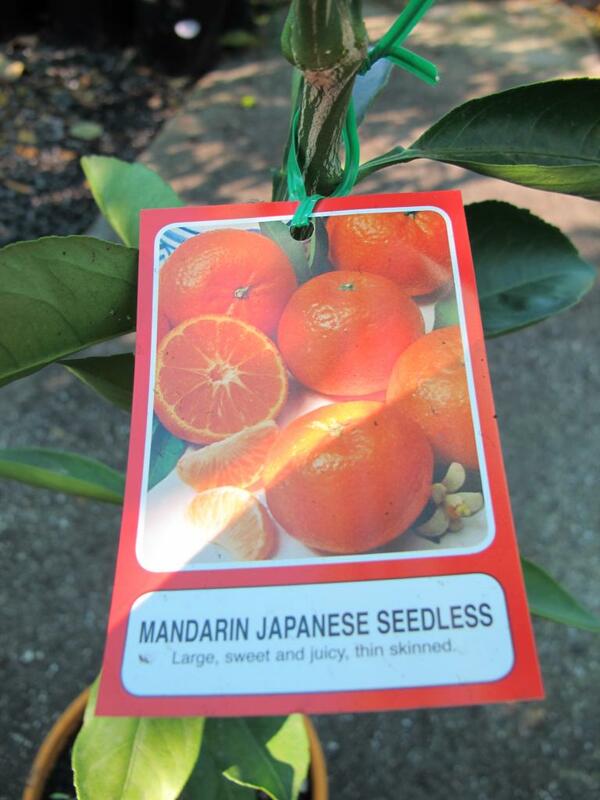 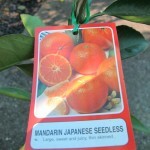 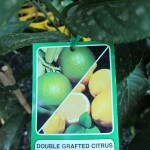 It produces small green, juicy fruits which ripen at Christmas time. 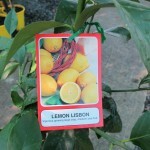 Its fruits can be used for preparing sauces. 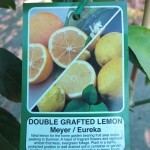 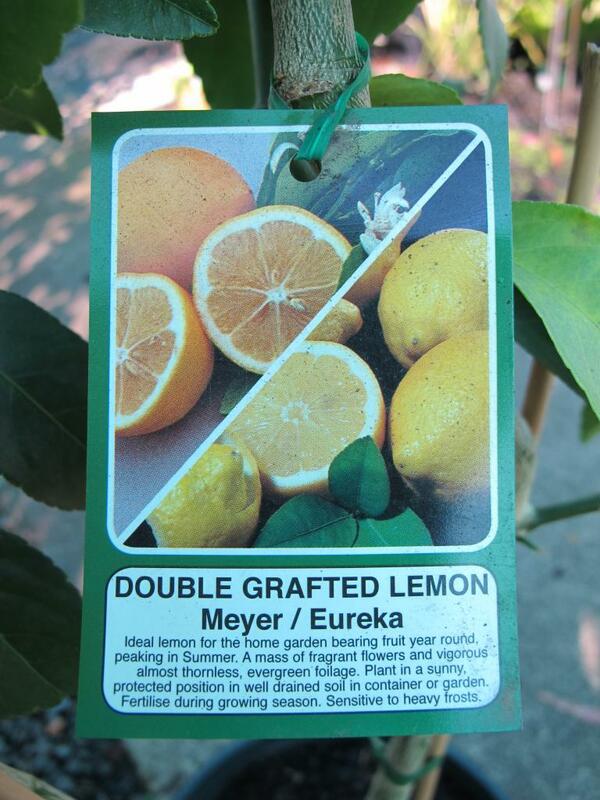 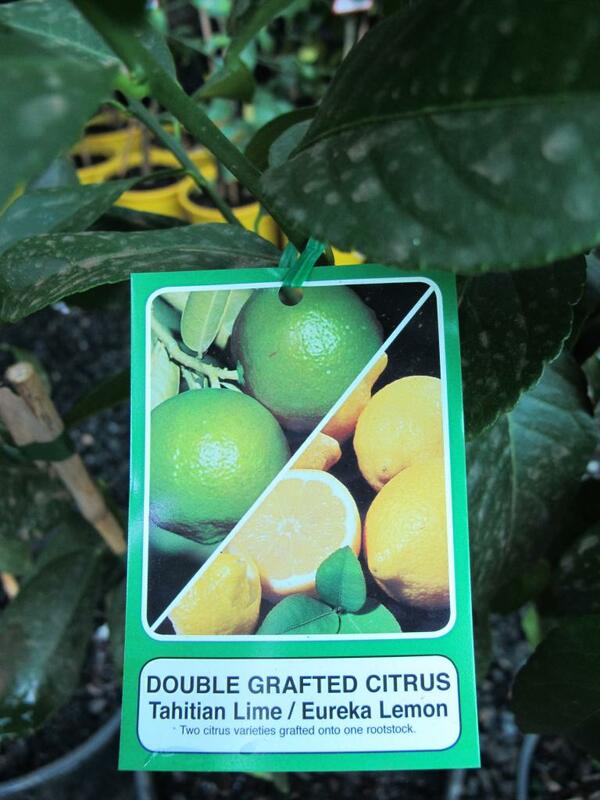 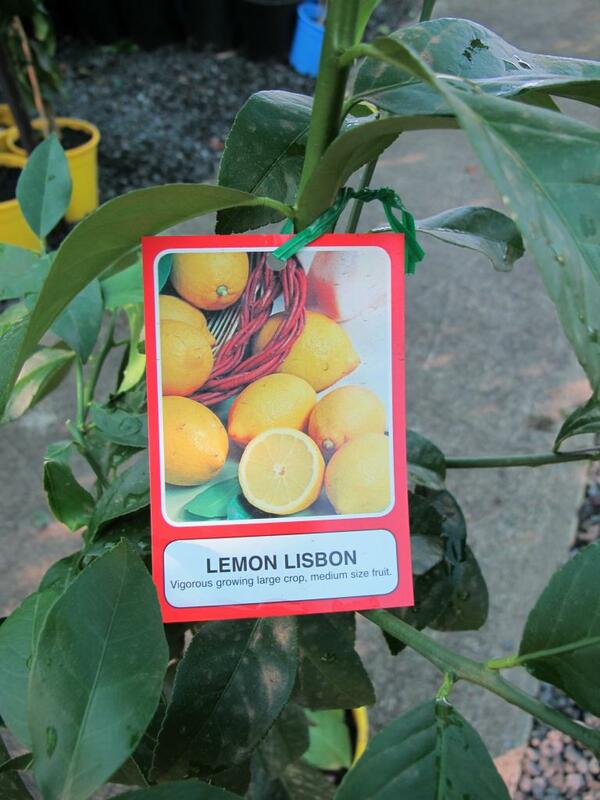 We also have a huge new selection of the “normal” citrus, 3 varieties of Lemons, Tahitian and Kaffir Limes, Cumquats, Limequats, Japanese seedless mandarins, Dwarf Lemon and Limes and a few double grafts of Lime and Lemon and Lime. 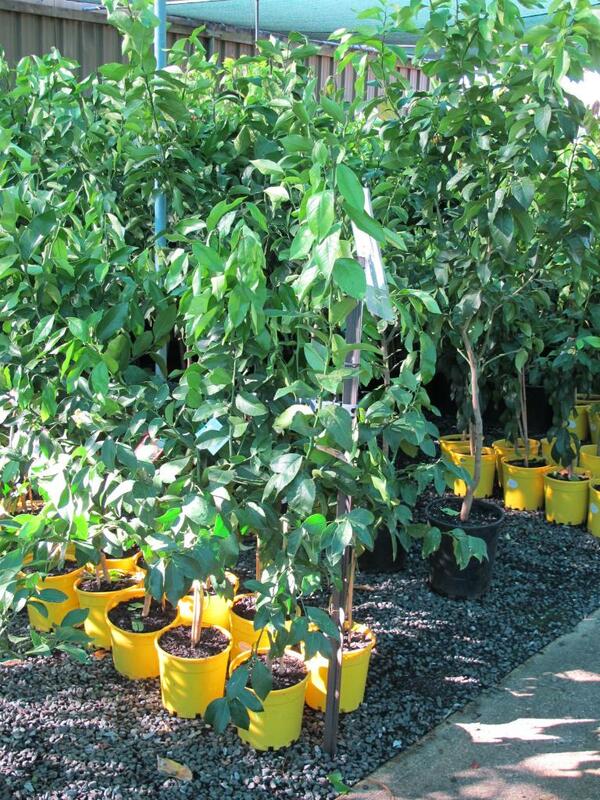 Select a sunny well drained spot and plant with 4 stakes around the tree to provide a cover of Frost Cloth for the first Winter to protect the tips from frost.